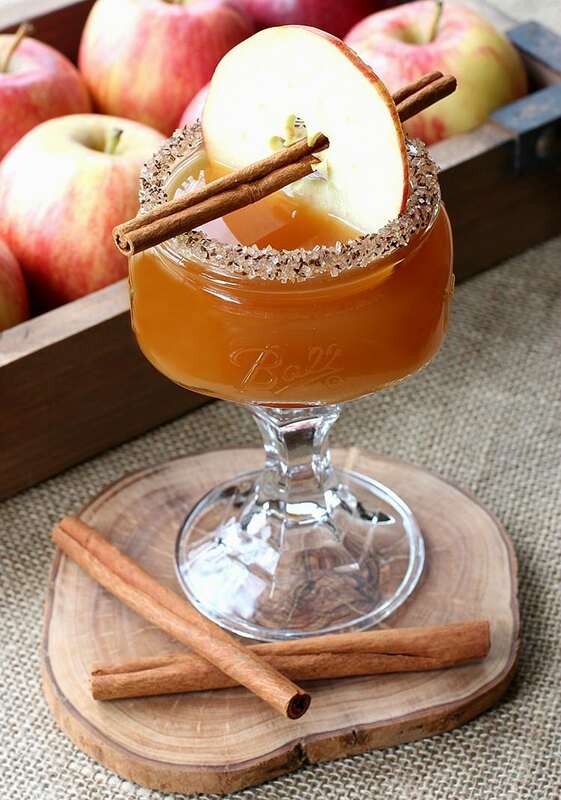 Shake up this Cidertini for a chilled cider drink any time of the year! But in the Fall, next to a fire pit, now that’s a good happy hour! 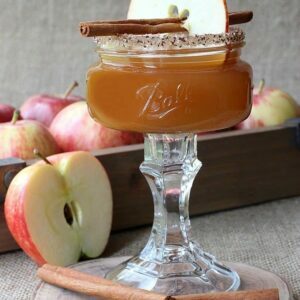 One of my favorite hot cider drinks is with just the addition of bourbon or brandy. That’s really all you need. More bourbon, less cider. That’s pretty much the ratio. I also like using Lairds Apple Brandy in my cider, they’re another New Jersey based company…I might have to take a road trip there too one day. But who says that you can’t enjoy a cider-based cocktail in the summer time? We always grab apple cider instead of juice. We all like it better than plain apple juice and we use it not just for drinking nut for marinades and sauces too. So why not try our a chilled cider cocktail in the warmer weather? Sounded like a good plan to me. Berentzen is an apple liquor that I found a while back that seems to go pretty great in a lot of cocktails. We’ve used it in a few so far like this Big Apple Bourbon cocktail and this Apple Cider Margarita. It kind of kicks up the apple flavor in your drink – or your sauce or marinade. 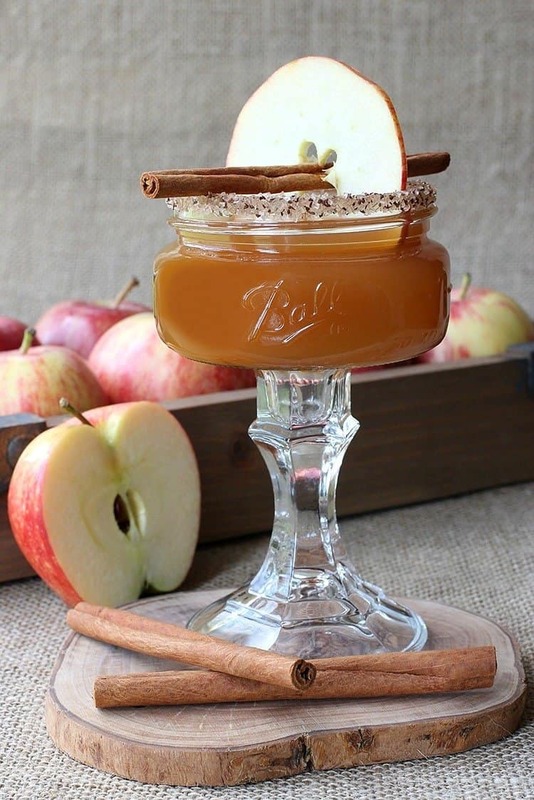 And it totally worked in this Cidertini – fresh, apple flavor with caramel vodka and tart cider. It’s got it all, and all you have to do is sit back and enjoy! Place all ingredients except for the cinnamon stick and the apple a slice in a shaker with ice.